So a few weeks back, I called up the service department at MAX BMW in New Hampshire and finally got a service appointment set up. Since I knew what I wanted done, I was pretty detailed with them on the phone and they were able to get me a rough cost estimate that day. Best of all, they were running a promotion at the time for free pick-up and drop-off, something I would be a fool not to take advantage of. Arrangements were made and a date was set for them to come and get my bike. On the scheduled date, bright and early on a Friday morning, a shiny Sprinter van showed up outside my door and I was greeted by Fred, the delivery driver. We chatted a bit as he loaded up my Beemer and the whole process took less than 10 minutes. The following morning, I called the dealership to confirm that they had the bike and that we would still be on schedule for it to be returned to me by the end of next week so that I could ride it during my upcoming vacation. 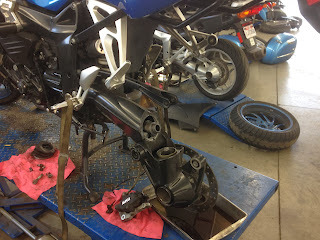 By this point, they had already done the inspection and started the tear down of the bike, with all of the parts already in-stock for the service items I had requested. 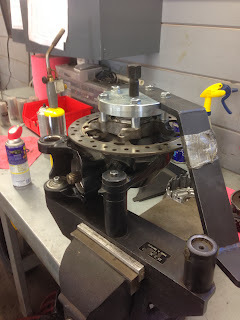 During the inspection, they discovered a small leak around one of the seals in the bike's shaft-drive unit and recommended that I replace it. As the cost was not going to be excessive, I agreed and they simply added the work item to the rather lengthy list of things to accomplish. As Monday was a holiday, I was impressed when they called me late in the day on Tuesday and stated that everything was done. 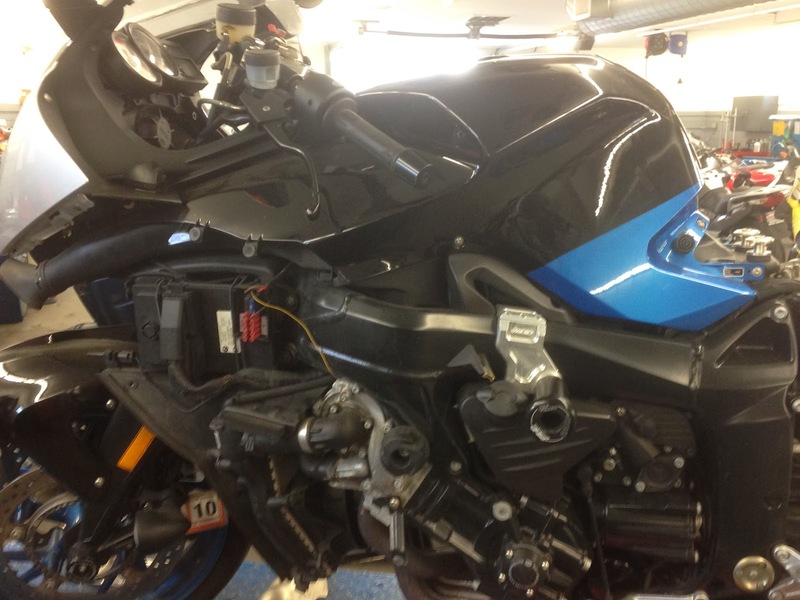 Payment was taken over the phone and arrangements were made to drop the bike back off to me on the upcoming Friday. That Friday morning, once again bright and early, Fred showed up at my door and delivered my freshly serviced bike. They were able to address every single item and resolve every single problem. The final bill was substantial, but seeing as how they had done a full tear-down of the final drive and I had a fresh set of Michelin Pilot Road 3 tires on the bike, it was not exactly a shock. I consider it an investment in keeping the bike running well as I am extremely pleased with it so far and have every intention on keeping it for the long haul. Best of all, even with the expense of the service, the Beemer costs substantially less to operate per mile than the TSX and I put about an equal number of miles on them during the past year. While my wife was quick to point out that the car can carry more people and stuff, we seldom use it to carry more than just the two of us. While I have not had a chance to spend that much time with the bike since getting it back from service, I have taken a couple of brief rides and it seems, to me at least, to be running a lot smoother than before. It idles with less vibration and the transmission shifts much more cleanly, probably due to the fresh oil coursing through its beating heart. The fresh tires are still getting broken in so I am riding fairly conservatively, especially given the cold temperatures, brand new tires, and plentiful road debris. Once they get some serious mileage on them, I will be writing a full product review, but initial impressions are very positive as turn-in is noticeably cleaner and they seem to be gripping nicely, despite still having some of the mold release compound on them. Best of all, the electronic suspension adjust works perfectly again, giving me back some more comfort oriented damping options. With all that said, it is still the power that I cannot get enough of. If some of the videos I have taken on the bike are not clear evidence, then let me just say that I would have a hard time justifying buying another motorcycle given how mind-blowingly quick this one is. It is certainly not going to be as nimble as a smaller supersport bike, but that is not necessarily my style of riding and I am not going to be doing any track-days on this thing anyway. However, I am spending time putting prodigious numbers of miles on it during single day rides and for that, it is perfect no matter if the roads are fast and straight or slow and twisty. Best of all, despite all of the performance, not to mention my aggressive riding, I am still averaging 40 mpg.